The varied non-profits of the Adirondack Region are critical to successfully moving toward a better future. 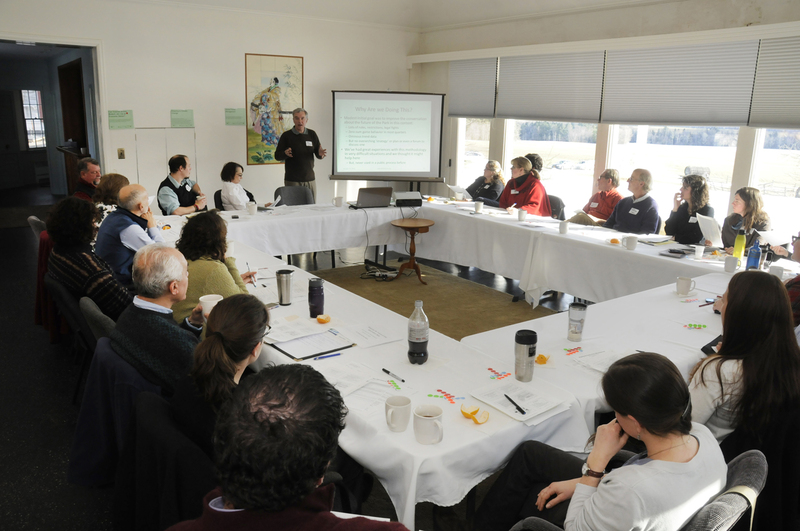 So we were pleased to have the opportunity to spend a day last week with the Adirondack Non-Profit Network (ANN), an informal network of leaders from organizations serving the Adirondacks that has been organized by the Adirondack Community Trust (ACT). Non-profits in the arts, community development, healthcare, environmental research and advocacy, social services, tourism (e.g., museums), education and others were represented. A major goal of the group is to foster more integrated, Park-wide planning and cooperation, which we endorse wholeheartedly. The group thought most of this would be difficult, but some areas like getting the tourism NGOs to work together or developing a support system for mid-career families were seen as relatively easy. Large numbers of the non-profits represented could work on climate change, tourism and the Arts. There were fewer who would address water quality improvement, coping with a growing poor segment of our communities or addressing the lack of diversity in the region’s residents and visitors. Create a Park-Wide Arts organization – conceive of the Park as an arts center; this is a major hole in the Park’s non-profit infrastructure. Non-profits need to help a few key towns to revitalize that don’t have the local organizations and experienced people to pursue this. For example, adopt Port Henry. Overall, the big theme was thinking Park-wide, collaborating, networking and making connections all the time. This entry was posted in Arts and Heritage, Education, Health Care, Tourism, Vision and Strategy on January 22, 2013 by ADKfutures.